Defective products can come in many shapes and forms. If you have been injured by a defective product, you probably already understand how complicated the process of holding the maker of the product responsible can be. We have navigated litigation for clients over the years for injuries caused by defective products. It is vital that you hire an attorney as soon after an injury occurs because the manufacturer of the product will begin the process of defending itself immediately upon learning of an injury its product may have caused. Keep in mind that the product must be kept in the form that it was in after the incident. If the product is altered or lost, a product liability claim will likely fail. It is important to retain experts early. Expert witnesses are generally hired in product liability cases to help the jury understand the product defect. Sometimes, there are very few experts in a particular field, so it is important to get the best expert before the company hires that person. If you or someone you care about has been hurt by a defective product, call us and let us help. The Birmingham product liability lawyers at Farris, Riley & Pitt, LLP have extensive knowledge and experience when it comes to representing consumers who were injured due to an unsafe product. There are many possible ways a company or retailer could potentially have contributed to your injury. If the manufacturer used ineffective or dangerous material that led to a product breaking and injuring you or a loved one, you may be able to collect compensation, not only from the manufacturer but from their suppliers, the retail outlet that sold you the item, and other parties along the supply chain. A product doesn’t necessarily have to suffer from a manufacturing, material, or design defect to qualify as a defective product case. If a properly functioning product didn’t come with adequate safety or cautionary information, resulting in inappropriate, unintended, or hazardous use that leads to an injury, the manufacturer may still be held responsible for the injury. Our careful attention to detail and our ability to construct how each piece of information will affect a client’s claim are vital skills in these cases. Our team of attorneys and consumer product industry experts will go to great lengths to demonstrate the dangerous, defective, or faulty nature of a product and how the product has affected you physically, mentally, and emotionally. At Farris, Riley & Pitt, LLP, our product injury lawyers have the resources and experience needed to handle such cases, along with a proven track record for achieving optimal results. Why Do I Need a Defective Products Lawyer? Defective products that cause serious injuries often lead to victims requiring extensive hospital stays. You are not only confronted with an overwhelming amount of medical expenses, but you may also be unable to return to your job because of your injuries. In all likelihood, you probably have no prior experience handling a product liability claim and, thus, do not even know where you would begin to try to seek compensation from the at-fault party. The good news is that you do not have to try and figure it all out by yourself. When you hire an experienced attorney, they will have a full understanding of the applicable state laws relating to your case and can help you determine the best course of action. Your lawyer will also know which experts to consult and possibly have testify in your civil case. You may also be facing considerable financial stress because of the medical bills and lost income you are dealing with. Do not let these worries prevent you from contacting Farris, Riley & Pitt, LLP, as our firm will represent you on a contingency fee basis so you pay nothing up front and we only collect a fee when you receive a monetary award. Farris, Riley & Pitt, LLP has experience handling a wide variety of product liability actions, ranging from children’s toys to dangerous drugs to automotive parts. Our firm maintains relationships with the foremost experts in their respective fields, so that we can present the strongest possible case on your behalf. When you work with Farris, Riley & Pitt, LLP, we will quickly commence a complete independent investigation into the type of defect at issue in your case. Our firm will not only determine the exact cause of your injuries but also identify all possible liable parties. Farris, Riley & Pitt, LLP will be able to determine the true value of your case. While the insurance company for the negligent party may try to offer you a settlement that is only a fraction of what you are actually entitled to, our firm will fight to make sure you get every last dollar you need and deserve. Because defective product cases require extensive investigations, it is critical that you not delay in retaining legal counsel. You will want to contact Farris, Riley & Pitt, LLP as quickly as you can. In general, most defective product claims will be based on one of three types of product liability claims: design defects, manufacturing defects, or failure to warn. All three of these types of claims fall under the purview of the Alabama Extended Manufacturer’s Liability Doctrine, which is predicated on the strict liability doctrine found in Section 402A of the Restatement (Second) of Torts but with certain differences. In order to establish liability under the AEMLD, a victim will need to prove that a product was not altered when used and that the product defect caused their injury. A manufacturing defect is typically a much more isolated case that is usually limited to a single product or possibly batch of products that are defective because of some kind of manufacturing error. Design defect and failure to warn claims can be much more serious because these types of issues essentially mean that all such products that are being sold are defective. A design defect involves a claim that a product is dangerous because of some kind of oversight in the underlying design of the product, while a failure to warn claim is based on the manufacturer’s failure to include some type of warning about proper and improper use of the product. Expert testimony is often required to support any Alabama Extended Manufacturer’s Liability Doctrine claim. The Alabama Rule of Evidence 702 establishes that expert testimony is admissible only if the testimony is based on sufficient facts or data, the testimony is the product of reliable principles and methods, and the witness has applied the principles and methods reliably to the facts of the case. What kinds of compensation can be recovered in a product liability action? If your case goes to trial and is successfully proven by a preponderance of the evidence, you may be awarded compensatory damages, which are usually a combination of economic damages and noneconomic damages. Economic damages refer to tangible types of harm that can be calculated and proven, such as medical expenses and lost income. Noneconomic damages are much more subjective types of harm, such as pain and suffering or emotional distress. In a limited number of cases where it is proven by clear and convincing evidence that the defendant consciously or deliberately engaged in oppression, fraud, wantonness, or malice, you could also be awarded punitive damages. How long do I have to file a product liability lawsuit? In most cases, a person only has two years in Alabama to file a product liability claim. If you have a breach of warranty claim relating to a defective product, then the statute of limitations is extended to four years. What if the product was manufactured outside of the United States? Many manufacturers and retailers in the United States try to reduce costs by using foreign suppliers, but foreign entities that sell products within the country are still subject to American laws. The U.S. distributors of these products can still be liable for the negligence of overseas companies, and foreign businesses themselves can also be held liable in some cases. Any product liability case involving an international business will require highly skilled legal representation. According to the United States Consumer Product Safety Commission, there were an estimated 113,272 injuries associated with inflatable amusements treated in emergency departments between 2003 and 2013. During the same time period, inflatable amusements resulted in 12 deaths. CPSC staff received reports of 14,653 ATV-related fatalities between 1982 and 2016. Of these, 337 occurred in 2016, 484 occurred in 2015, and 581 occurred in 2014. An estimated 101,200 ATV-related injuries occurred and were treated in U.S. emergency departments in 2016. In 2014, there were an estimated 165 unintentional nonfire carbon monoxide poisoning deaths associated with consumer products. The estimated annual average from 2012 to 2014 was 149 deaths. The CPSC reported that there was an estimated average of 48 yearly electrocution fatalities associated with consumer products from 2010 through 2013. By year, there were 70 consumer product-related electrocutions in 2010, with 40 yearly electrocutions related to products in 2011, 2012, and 2013. According to the CPSC, there were four nonoccupational fireworks-related deaths in 2016. Three of the four fatalities were related to reloadable aerial devices, one was associated with manufacturing homemade devices, and all four victims died from direct impacts of fireworks. The CPSC reported that fireworks were involved in 11,100 injuries treated in emergency departments in 2016. The parts of the body most often injured were hands and fingers; head, face, and ears; legs; eyes; and arms. According to the CPSC, an estimated 30,700 people were treated annually in emergency departments for product instability or tip-over injuries related to televisions, furniture, and appliances from 2014 through 2016. The furniture category had the largest number of injuries with 19,500 injuries (64 percent), followed by 10,100 injuries (33 percent) associated with televisions, and 1,100 injuries (3 percent) as a result of appliances that tipped over. In 2016, there were 62,300 injuries associated with nursery products among children younger than 5 years of age treated in emergency departments. Between 2012 and 2014, there were 284 deaths (an annual average of 95 deaths) associated with nursery products among children younger than 5 years of age. From 2009 to 2014, the CPSC investigated 34 deaths associated with playground equipment. Of the investigated fatal incidents, 19 deaths were the result of hangings or other asphyxiations, 12 involved a second product, five were associated with slides, five occurred on swings, and eight deaths were the result of head or neck impact injuries. The CPSC received seven reports of toy-related deaths that occurred in the 2016 among children younger than 12 years of age. That same year, the agency reported that an estimated 240,000 toy-related injuries were treated in emergency departments. The lawyers of Farris, Riley & Pitt, LLP have been helping people injured by the negligence of other parties for more than 20 years. We understand the complexity of product liability claims and will work with expert witnesses and secure the evidence necessary to help you achieve the most favorable possible outcome to your case. Did you suffer severe injuries or was your loved one killed by a defective product in Birmingham or a nearby area of Jefferson County? 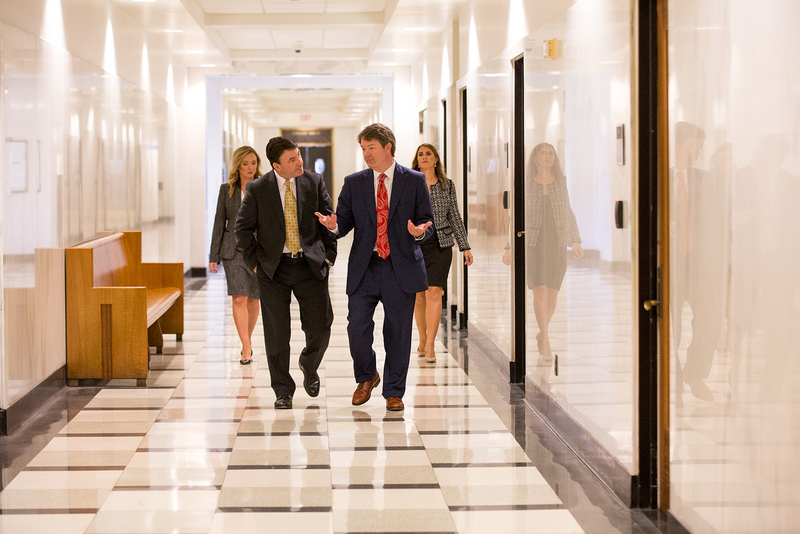 Call (205) 324-1212 or contact us online to have our lawyers review your case and help you understand all of your legal options during a free consultation.